As a specialist manufacturer and supplier of industrial insulation solutions, thermal management is key to our products, and to the service we offer our customers. Sound thermal management is essential to the safe, efficient working of foundries and other heat-based industrial processes and products. Consequently, we manufacture off the shelf insulation products, and we provide bespoke thermal management solutions, and design them in response to our customers’ specific concerns. We can build thermal profiles by thorough testing and simulation, and through this process come up with a tailored thermal management solution. Also, our mica-based and microporous insulation ranges are supremely flexible and adaptable to a range of diverse settings and situations, so when we consult with our customers, we can advise on the best way to answer their needs. Foundry and steel , and other furnaces, require sufficient protection for linings, without this having adverse effects on the heat they can generate. Above all, preserving the integrity of the coil grout and coil is vital during operations, and over time. Mica laminates, whether in pure or reinforced form, offer excellent thermal management solutions by combining strong slip plane, heat and electrical characteristics. Alongside our mica roll products, we offer other thermal management solutions, in the form of high temperature insulation based on microporous membranes. These insulation sheets, formed from particles of dispersed silica, combine a low density structure with excellent heat transfer qualities. As such, they can maximise furnace performance while enabling accurate control of temperatures. Thermal management means fulfilling furnace safety requirements. Extending the scope of our laminate-based products, we offer furnace safety systems in the form of mica-based products combined with other materials. These flexible sheets will act as an early warning system in furnaces when there is the risk of metal penetrating the coil grout, where the crucible has worn thin, or where vapour is escaping and may deposit residue on the coil. 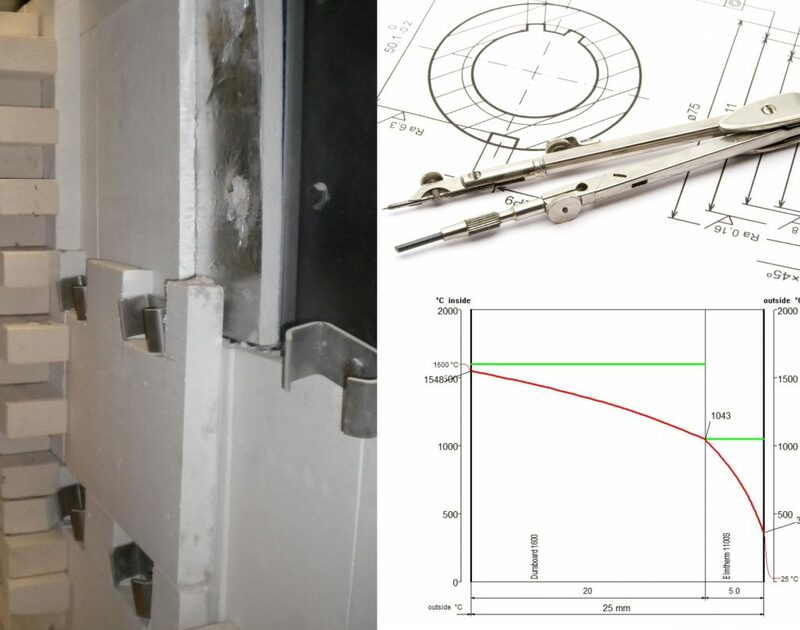 Furnace capability and efficiency requires optimum performance, and where furnaces are processing galvanised metals, or alloys particularly, our furnace safety systems provide essential support. To optimise our customers’ processes, we often need to take a multi-faceted approach, strategically combining a variety of insulation solutions. For this approach, we will look at the specifics involved, rigorously assess individual requirements, and provide a solution involving composite materials. For thermal management across different industries and in a variety of situations, we work closely with our customers to come up with bespoke design solutions. This might mean manufacturing insulation material in custom sizes or shapes to order, or applying a combination of insulation solutions. Either way, we will arrive at the right answer for specific thermal management problems. Are You Happy with Your Thermal Management? Are you operating to your full capabilities? Are your systems and processes as safe as they could, or should, be? Contact us for bespoke thermal management solutions and custom made insulation.